Contact us today to schedule a personal and professional estate sale consultation! 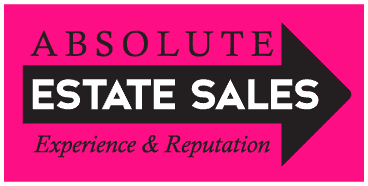 Are you interest in having Absolute Estate Sales host your next sale? Would you like to know more about our company or services? Would you like to inquire about items featured in any of our upcoming sales? Visitor our Frequently Asked Questions or submit an inquiry via our contact form.